How is a top Chateau on Bordeaux’s Right Bank preparing for climate change? 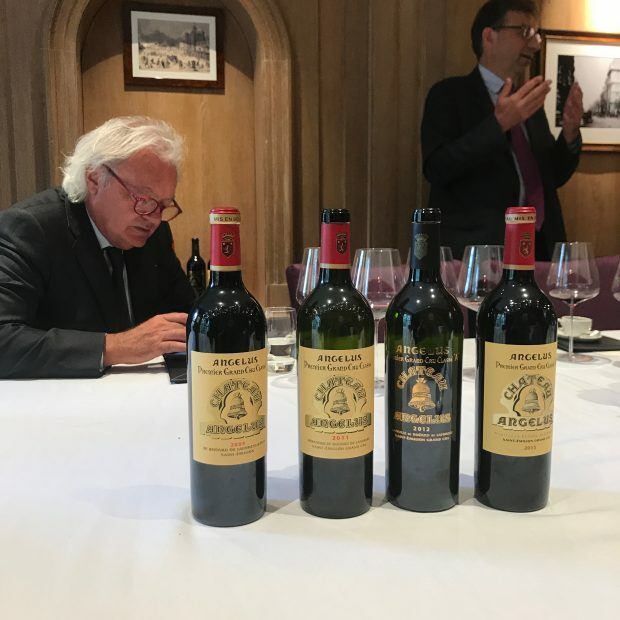 The big news for Chateau Angelus in St Emilion is they received their organic certification this year (2018) and have put in place new approaches for clonal selection. It was difficult timing, when 2018 on the right bank is characterised by a battle with mildew. Stephanie told us, while “nature has the last word, we fought very hard.” While some of their fellow right bank Chateaux gave up their organic certification process, because they felt they were “going backwards”, Chateau Angelus stuck it through despite everything and say they were happy with the results. When Pontet Canet pushed forward with biodynamic viticulture, some questioned whether it was possible due to the damp humidity of Bordeaux. Mildew damage is one of the more difficult problems for organic vitiuculture and in 2018 this was a problem on the right bank. In the end, you have to spray with copper (only on the surface). Four to five tractors spray the 42 hectares over one day – but with the clay soil in St Emilion, which is not easy to get the tractor through after the rain. Next year, Hubert de Bouard and family will start a new massale selection of the Cabernet Franc. In 2019, they will be looking for Cabernet Franc that needs time on the vine, and gives less alcohol and more acidity. In short, better phenolic ripeness. A response to changes in climate over the years. Compare the difference to what he was looking for 30 years ago, where he was looking for Cabernet Franc with the most sugar to gain faster maturity and to gain more power. 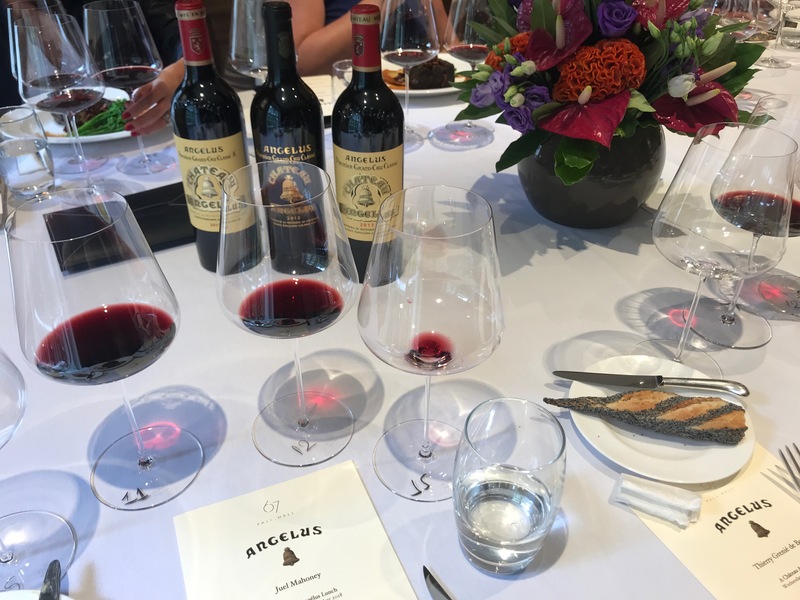 Chateau Angelus has always had a reputation for dynamic thinking, and their next stage in organic viticulture – in which the origins can be traced back to the 2012 vintage – they are planning ahead for a world where climate change and global warming is a reality. They can change the farming, and with Cabernet Franc on clay soils (which are like a tank of water under the vines in drought conditions), they are in a position to confront the climate changes. There is change in Bordeaux. A response to future climate change challenges. The bells on top of the Chateau may be ringing out: for whom the bell tolls, it tolls for thee (and for all of us).